Economists see little in today's announced quarterly inflation figure of 0.4% to worry the Reserve Bank and they say inflationary pressures remain subdued. 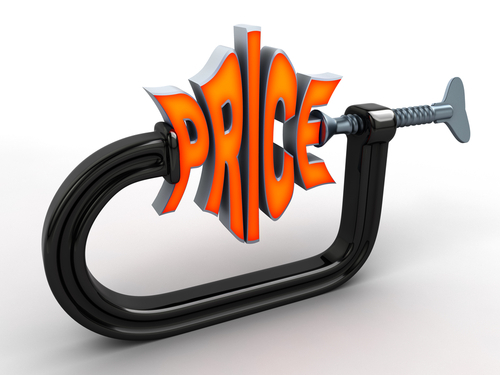 Statistics New Zealand reported today that the consumers price index (CPI) rose 0.4 percent in the March 2013 quarter. The annual rise in the CPI was unchanged at 0.9%. The RBNZ targets keeping inflation within 1%-3%. There were increases for cigarettes and tobacco, food, rents and newly built houses, petrol, and prescription medicines. These were countered by seasonally lower international travel prices, better value telecommunication services, and widespread discounting for furniture, appliances, and audio-visual equipment. ASB senior economist Jane Turner said from the ASB's perspective, the surprises were spread across both tradable (which includes goods that face international competition) and non-tradable inflation. "In particular, discounting of household items and clothing was even more aggressive in Q1," she said. "While the continued high NZD has placed downward pressure on the price of imported household goods, it appears the extent of discounting is even greater than what the currency suggests. This indicates household demand remains subdued, with retailers continuing to work very hard to gain sales." Turner said discounting was particularly elevated in the fourth quarter and ASB had expected to see some unwinding of this. "We still see some risk of payback over the coming quarters as retailers look to rebuild margin, particularly as consumer confidence has started to improve," she said. In terms of non-tradable inflation, Turner said the increases in rents and construction costs were not as strong as ASB had expected. "This was particularly the case for Auckland. The key surprise was evidence of slowing Auckland rent increases, which is in contrast to anecdotes of undersupply and the imbalance seen in the Auckland housing market. It was also surprising to see construction cost increases in Auckland remaining muted." In contrast, Canterbury rents increased very sharply up 2.1% over the quarter and 3.7% over the year, compared with the nationwide increase of 0.7% qoq, and 2.2% yoy. "Likewise, construction costs continue to surge in Canterbury as rebuild activity continued to lift and capacity pressures start to bite, with costs in Canterbury up 3.3% qoq and 12.2% yoy compared to nationwide increases of just 0.9% qoq and 3.3% yoy. "While Canterbury construction costs continue to grow, the RBNZ will be encouraged that to see no sign of spillover from the growing capacity pressures in Canterbury arising from the earthquake rebuild, with cost increases outside the region remaining very subdued." Turner said over the coming year, inflation pressures would likely remain weak, with the elevated NZD continuing to weigh on tradable prices. "However, we do expect to see a continued lift in non-tradable inflation, an area the RBNZ will be particularly sensitive to given the extent of housing market pressures and the lift in house price inflation." She said, however, that overall inflation pressures remain subdued, and there would be little in today’s inflation outcome to worry the RBNZ. "Over the coming year the RBNZ will balance the elevated NZD against the increase in housing market pressures and the lift in credit growth. While inflation is low for now, the RBNZ is very mindful of the extent of Canterbury construction cost inflation and the potential for spillover to the rest of the country. "As the RBNZ noted in the March MPS, once some momentum builds in construction and housing-related inflation, these pressures can be difficult to contain. We continue to expect the RBNZ will first lift the [Official Cash Rate] in March 2014. Westpac chief economist Dominick Stephens and senior economist Michael Gordon said there were "no surprises" in the inflation data. "The high exchange rate has been a powerful force suppressing inflation in recent times, and this quarter was no exception. Exchange-rate sensitive prices fell once again." They said the big threat to domestic inflation was the Canterbury rebuild. "On that score, construction costs and rents in the Canterbury region rose very sharply this quarter. However, there was no sign that rebuild-related inflation was leaking into other regions of New Zealand. "The Reserve Bank will be very comfortable with this data. In particular, another downside surprise on inflation would have raised eyebrows, but this has been avoided." Stephens and Gordon said nobody would change their views based on the latest data. "All aspects of inflation are behaving broadly as expected. Accordingly, there was no market reaction. "The Reserve Bank's view is that the Canterbury rebuild will generate only slight inflationary pressures, and therefore the overall outlook is for inflation to rise slowly towards 2%. "Westpac is less sanguine. We are more concerned about the possibility of inflation pressures arising from a construction boom, and therefore we expect inflation to rise a little faster. But today's data, which showed sharp inflationary tendencies in the Canterbury region but little elsewhere, brings us no closer to resolving that difference of opinion." The article is headed the Reserve Bank can sleep well; yet they seem to have missed their target band of 1-3% now for four quarters. My recollection in the UK was that if that happened even in one quarter the BOE Governor had to write a public letter to the Chancellor (Minister of Finance) apologising, and explaining what he's doing to fix it in the future. Here it seems to be backslapping all round. I don't get it. Send your DPB tennants to WINZ to get an increase in accomodation supplement when you put their rents up. The usual increase in the cost of essentials and decrease in non-essentials. The majority of New Zealanders dont give a **** about the price of non-essentials. Awesome. Low inflation gives the RBNZ wiggle-room to play with rates. Clearly deflation is to be avoided so it makes sense to drop the OCR to stimulate internal spending and drive the dollar lower to help exporters. I'd go down to about 2% if I was Governor.